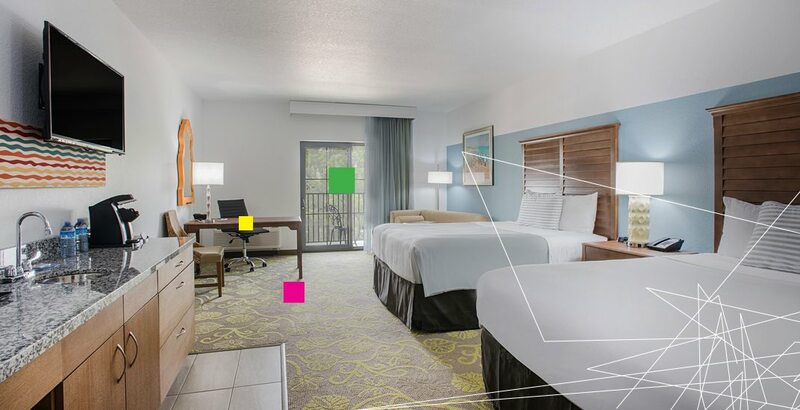 Each of our 95 well-appointed guest rooms are spacious in size and filled with bright Florida sunshine and modern amenities. Choose from rooms for the family, rooms with scenic balcony views, even rooms with the latest fitness equipment. 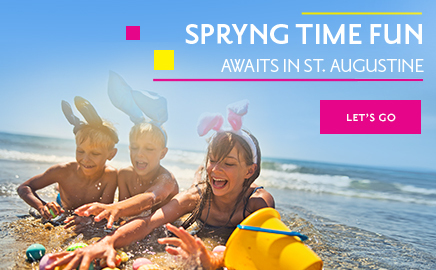 Or book a premium room to make your stay in St. Augustine something special. 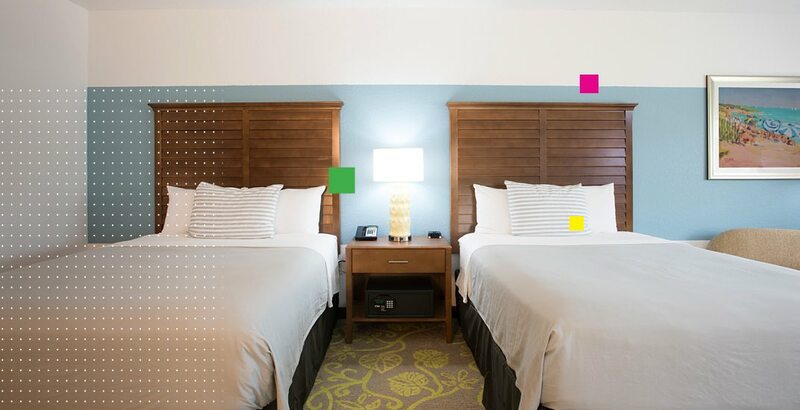 Our TRYP 2 Queen rooms feature 2 comfy queen beds with WynRest bedding, triple sheetings, and plush foam pillows. 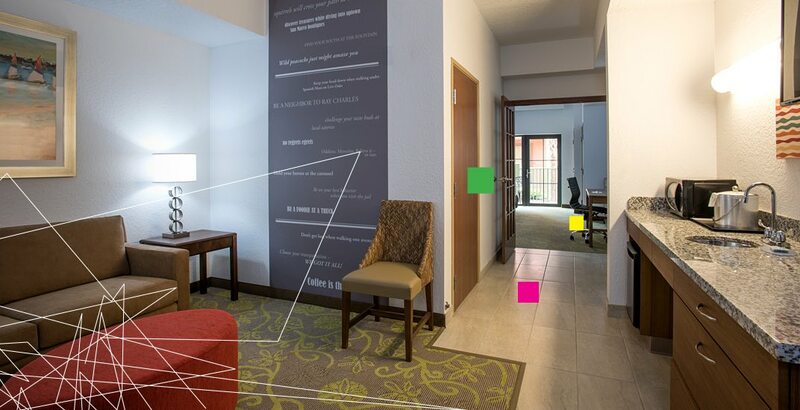 A work desk with Keurig coffee and tea maker and complimentary Wi-Fi complete this well-appointed space. 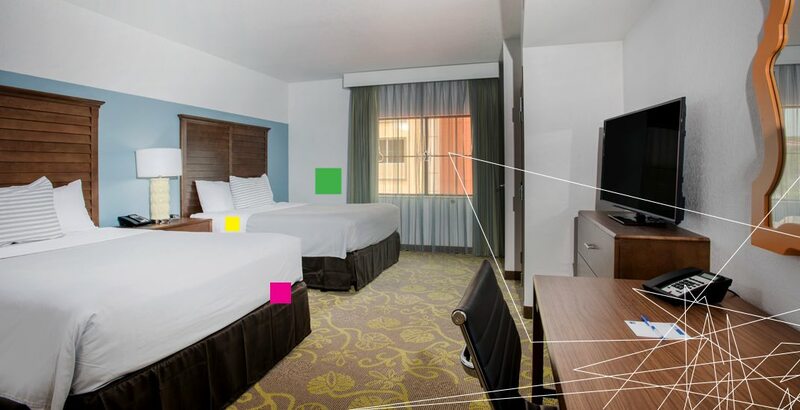 This oversized ADA room boasts 2 queen beds with plush bedding for superior comfort. 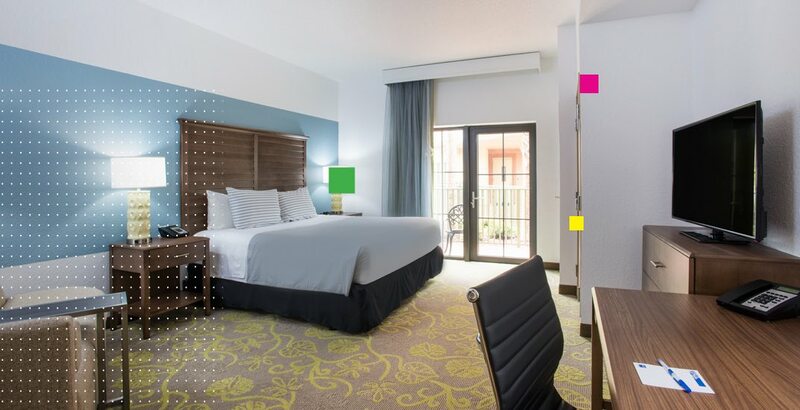 Accessible features include a roll-in shower and safety bars, plus all of the thoughtful amenities of our standard rooms. Enjoy a private balcony with scenic views of St. Augustine in our supersized queen room with balcony. Amenities include a work space with Wi-Fi, Keurig coffee maker, mini-fridge with bottled water, and an iron and ironing board. Take in scenic river views from the comfort of our premium queen room with balcony. 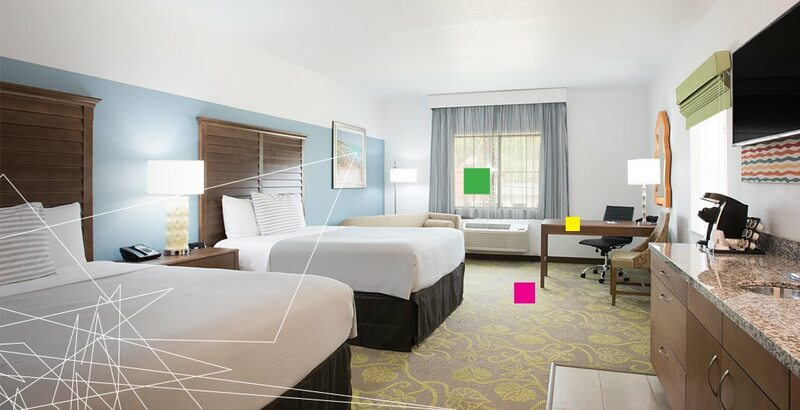 Amenities include a mini bar with bottled water, microwave and mini-fridge, a spacious work area with desk, and flat-screen HDTV. Our oversized king room boasts a sofa bed with plush bedding for superior comfort. 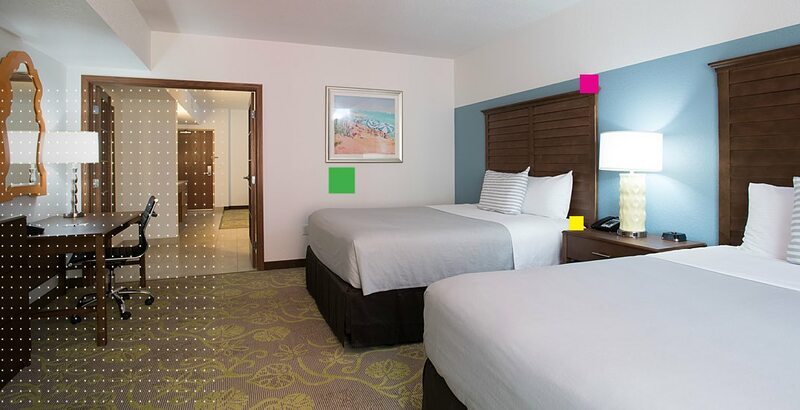 All of our guest rooms feature a mini bar, microwave, mini-refrigerator, a spacious work area with desk, chaise lounge, flat-screen HDTV, and in-room safe. Go from zero to workout in less than five minutes. 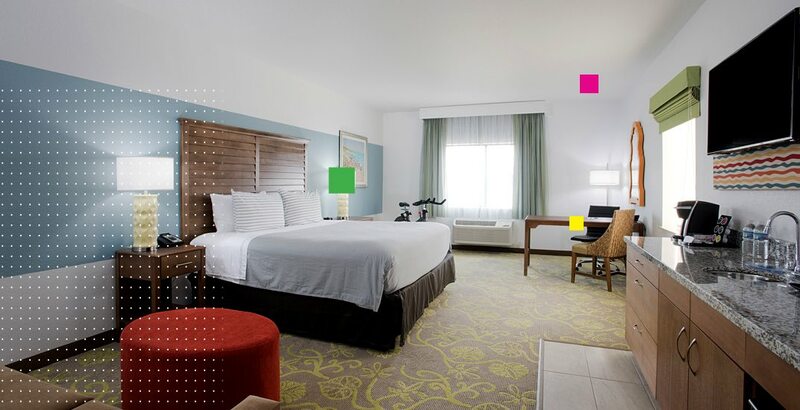 Enjoy a king-size bed, shower stall in the bathroom, and RealRyder bike. And we’ve got your workout needs covered with TRYP backpack, T-shirt, towel, and extra amenities. 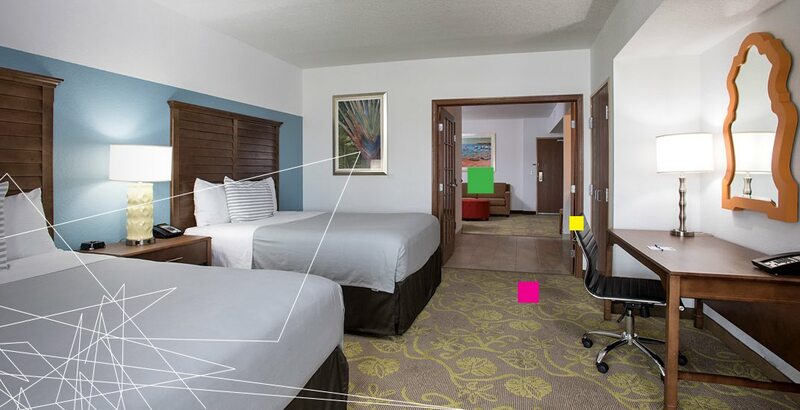 Enjoy our spacious queen suite that boasts a mini bar, microwave, mini-refrigerator, a spacious work area with desk, chaise lounge, flat-screen HDTV, and in-room safe. 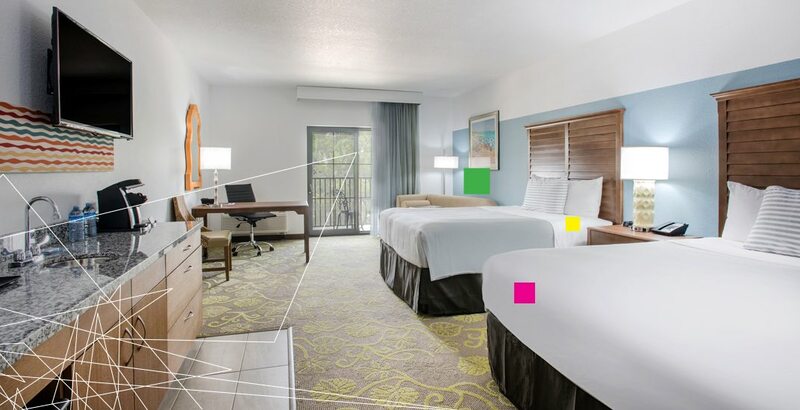 For your convenience we offer free Wi-Fi throughout the hotel. This Family Suite comes with 2 Queen beds and work desk in the bedroom, a bathtub/shower combination in the bathroom, and sleeper sofa in the living room. French doors separate the tiled wet bar area leading into the living room from the bedroom. 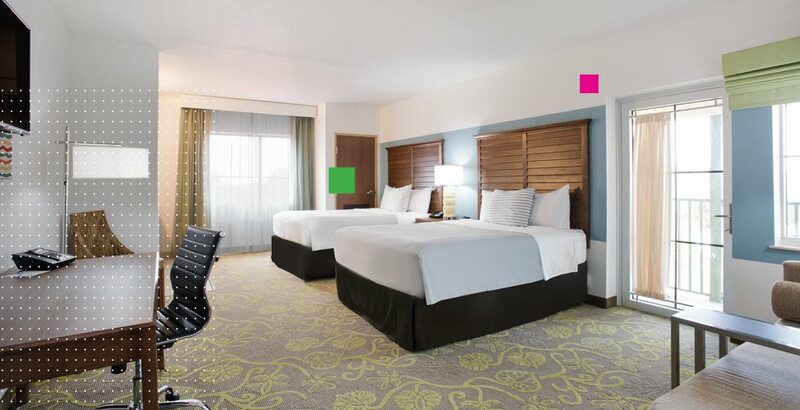 Space meets comfort in our ADA two-room queen suite boasting two queen beds with plush bedding for superior comfort. Enjoy the privacy of a separate bedroom and convenience of extra space in the living room area with sofabed and small table. Accessible features include a walk-in shower and safety bars. 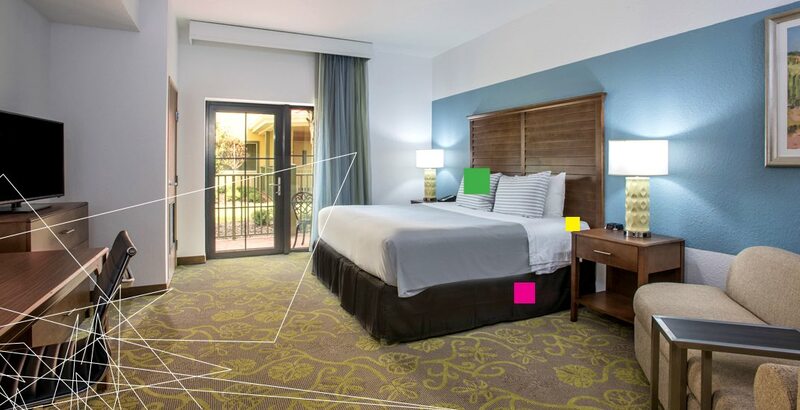 Our supersized ADA compliant King Suite comes with a patio facing the garden. French doors separate the bedroom from the tiled wet bar and living room with a second TV set and sleeper sofa. The bathroom has a roll-in shower with extra grab bars and two shower heads for ease of use. Space meets comfort in our two room king suite that boasts a king bed with plush bedding for superior comfort. Enjoy the privacy of a separate bedroom and convenience of extra space in the living room area with sofabed and small table. Enjoy the fresh air of the balcony in the two room suite with 2 queen beds. The suite includes the privacy of a separate bedroom, luxury of a balcony, and extra space of the living room area with sofabed and small table. Enjoy a beautiful view of the San Sebastian River in this fourth-floor suite! This oversized non-smoking deluxe queen room boasts 2 queen beds, a balcony, and plush bedding for superior comfort.